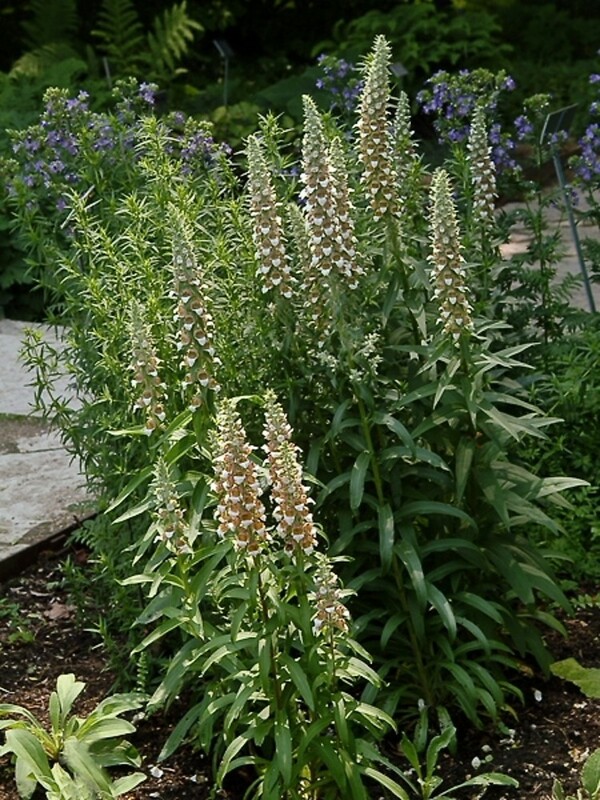 Grecian foxglove, native to Europe, has spread widely in North America since its introduction as a garden plant. 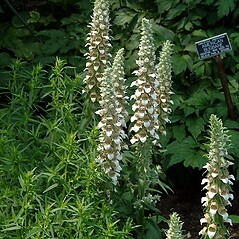 Unlike many other garden foxgloves, this species tends to escape into disturbed areas; it is even considered a noxious weed in Minnesota and elsewhere. 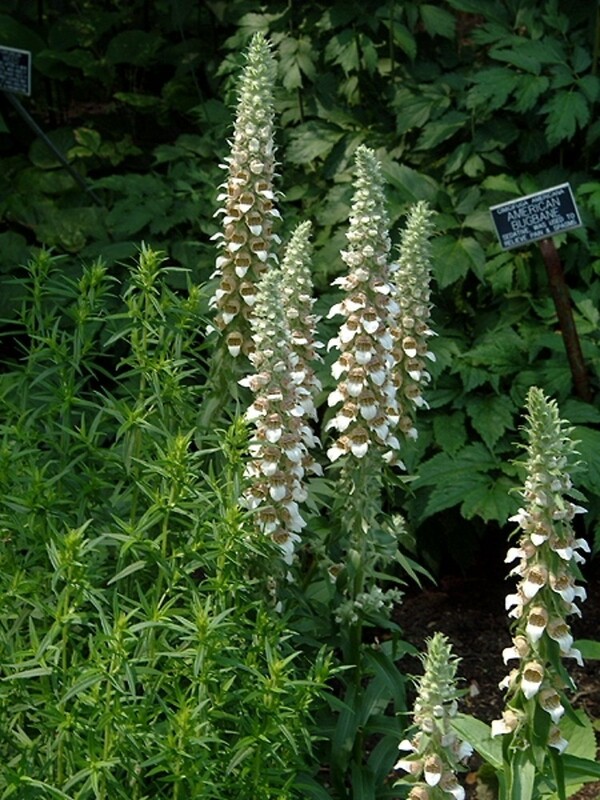 Like other Digitalis species, Grecian foxglove produces cardiac glycosides that have medicinal uses for heart medication but are highly poisonous when ingested by humans and wildlife and can irritate skin. 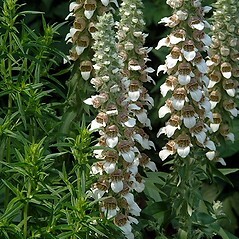 Look for cream-white to yellowish flowers streaked with brown, and hairy peduncles and sepals. 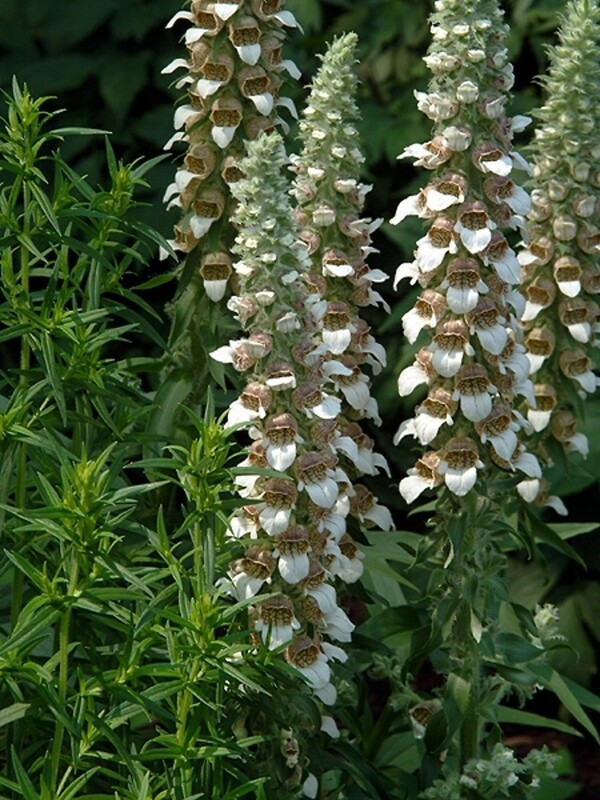 corolla 40-50 mm long and stem and abaxial leaf blade surface pubescent (vs. D. lanata, with corolla 20-30 mm long and stem and abaxial leaf blade surface usually glabrous or nearly so). 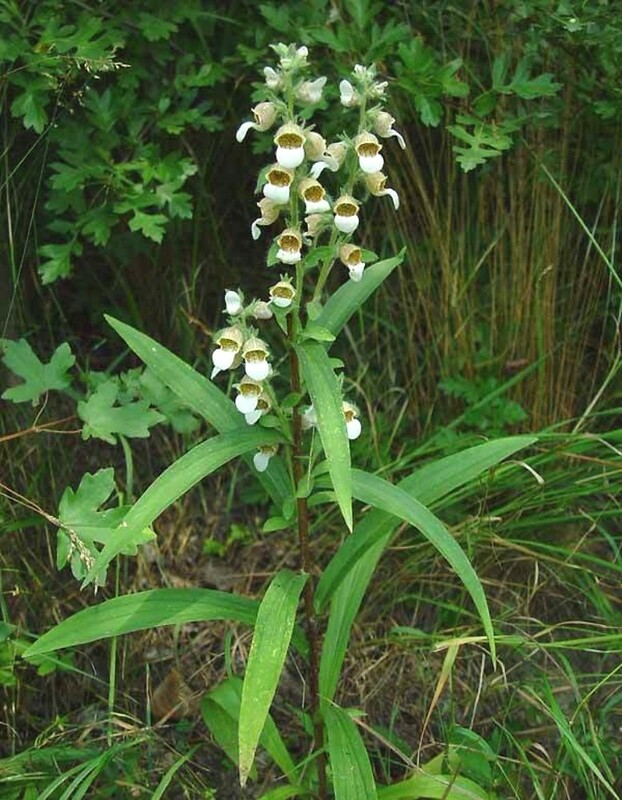 corolla mostly 15-22 mm long, with a lower lip that has the 5-6 mm long middle lobe that slightly exceeds the adjacent lateral lobes, and sepals with glandular hairs confined to the margins (vs. D. lanata, with corolla 20-30 mm long, with a lower lip that has the 8-13 long middle lobe that much surpasses the adjacent lateral lobes, and sepals with glandular hairs not confined to the margins). 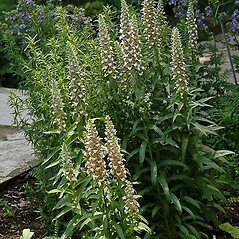 Grecian foxglove. 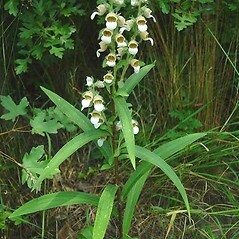 CT, MA, NH, VT. Roadsides, dumps, gardens, ledges near habitation.